We established our company in 1995. In the beginning our main acitivity was business with professional video technology as well as studio services – shooting and the production of videoprograms, commercials, music videos, PR films and documentaries of all kinds.We have an experienced team of people of all film professions that are necessary for the production of such projects. During the period of more than 15 years we are proud to have received a lot of quality references. 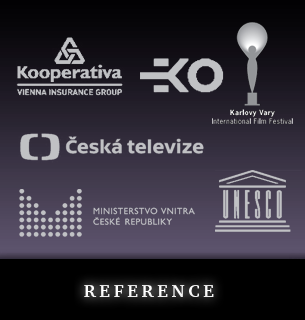 We worked for UNESCO, we produced the series Když se řekne profese (What is a profession) and Jak na to… (How to…) with the Czech Television.We were commissioned by the Ministry of the Interior to collaborate on the series Prevence (Prevention). For the Motokov corporation we produced a movie about its global activities and we also participated on many other projects. On our list of clients we account the Vorwerk corporation, the insurance company Kooperativa as well as the Ministry of Environment. www.jeffys.cz is under reconstruction. Thank you for your understanding!